We are excited to introduce, or for some of you re-introduce, Chris Bartell as our Speaker for October! Chris is a brand energizer and the Founder of the Super Powers Academy. His mission is to turn mild-mannered brands and business professionals into super heroes! 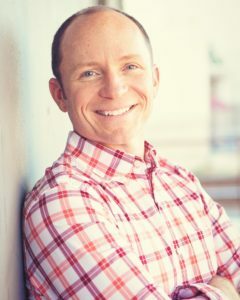 Chris helps people find their unique, engaging, and powerful story (by first determining who you are, your mission & vision, how you engage and what you do) that once unleashed, can inspire others to follow and trust you! Come join us for this inspiring presentation to do the same! MindShare is always looking to evolve to the changing needs of it’s constituents. We’ve evaluated the value of the physical networking and workshops and have determined that taking a digital approach will better meet everyone’s logistical and schedule challenges. To ensure that every MindShare member has access to our workshops, we are going to be switching from in-person workshops to online webinars. We will continue to partner with other organizations throughout the year for in-person networking events. We are also evaluating other ways to maximize the value of future special in-person workshops, so stay tuned for details. To RSVP for this webinar please contact Paris. She will make sure you are added to the webinar promotion list. We hope this change has a positive effect on our member’s workshop experience. I’m a brand engagement strategist: I turn mild-mannered leaders and brands into super heroes! My brand workshops uncover the powerful brand story that is used to engage target audiences through ongoing marketing campaigns and sales strategies. I’ve pretty much always had a marketing mindset. Since the time I created my first kids cereal box in 3rd grade, I’ve loved the creative process and storytelling. And I’ve always been an energizer and cheerleader for others. So these days, I just love doing it for people and brands. To stand out in the crowd! We’re all competing on a global stage for our careers. And we need to plant the seeds in others of our unique awesomeness! That’s what a Personal Brand is all about! Positioning: How to position your personal brand with authentic messaging that aligns your passion, purpose and super powers!